Canadian Chamber of Commerce | Chamber of Commerce - Business Directory - St. Thomas & District Chamber of Commerce - ON, ON ? 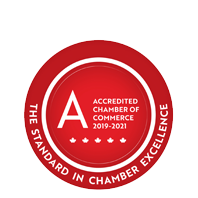 With a network of over 450 chambers of commerce and boards of trade, representing 200,000 businesses of all sizes in all sectors of the economy and in all regions, we are the largest business association in Canada, and the country’s most influential. The primary and vital connection between business and the federal government, their views are sought after and respected by government, business leaders and the media thanks to their well-researched reports, analyses, position papers and policy resolutions that reflect a broad business perspective.